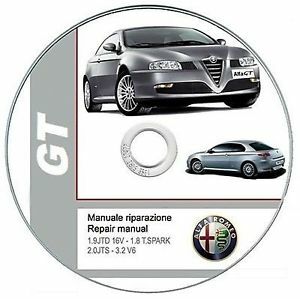 Official manual for the operation and maintenance of the Alfa Romeo GT 2003-2010 for service centers. This manual will help you to carry out repairs on your own to the car, without involving third-party assistance. Allows you to deal with the device of the car Alfa Romeo, will acquaint you with the basic systems and nodes. The manual contains diagrams of all the units of the car, wiring, procedures for removing / installing individual elements and so on. This manual will help you to carry out repairs on your own to the car, without involving third-party assistance. Allows you to deal with the device of the car Alfa Romeo, will acquaint you with the basic systems and nodes.